Solange Knowles has married her longtime love. 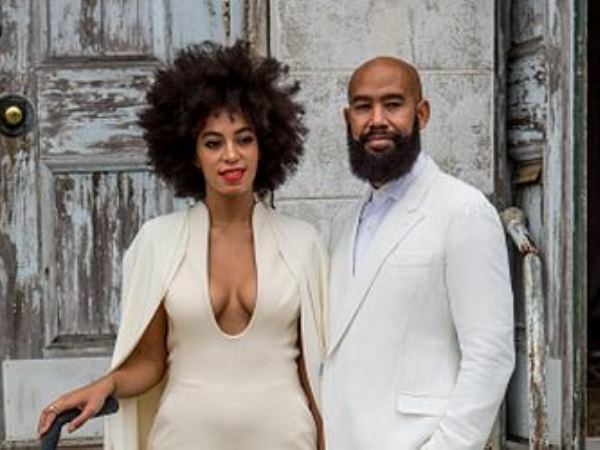 Beyoncé Knowles’ younger sister tied the knot with video director Alan Ferguson in New Orleans, Louisiana Sunday evening in front of about 200 loved ones, People magazine reports. The ceremony took place at the Marigny Opera House, with the bride and groom arriving on a pair of vintage bicycles painted white. "Beaming. Calm. They looked pretty calm, relaxed on their wedding day," a source told the outlet, adding that the atmosphere was “definitely happy”. Solange went for a non-traditional look, with photos showing her wearing a cream pantsuit with a plunging U-neck and a matching cape. Photos of the singer and DJ show her flanked by Beyoncé and their mother Tina Knowles, as well as other members of the wedding party, all of whom wore white. Alan matched his new bride in a white suit, but ditched the tie. Questions hung over whether Solange had invited her famous brother-in-law Jay Z to the ceremony following an altercation in an elevator in which she had to be restrained from attacking him after the Met Ball earlier this year. But the rapper did accompany his wife, Beyoncé, with the couple also bringing their young daughter, Blue Ivy. Solange’s son from a previous marriage, Daniel Julez, was also in attendance. The singer and her new husband were first seen together publicly during a visit to an art gallery in 2008, reports the New York Times.